I’d forgotten how addictive this show is. How hard it is to not go through an entire season in a week or two. After seasons 2 and 3–at least in my view–struggled to do justice to the near impossibly well-paced and acted legacy of season 1, Showtime’s serial killer serial delivers back to back viewing satisfaction with seasons 4 and 5. I’ve been sad for days now since I wrapped up Season 5. I was wondering how they would manage to leave Dexter Morgan alone once more without falling into a pale recapitulation of the surprise (and I’m trying so hard not to mention it here so forgive the elliptical tone) ending of Season 4. I even started to hold out hope that maybe this series that has previously traded on the unexpected might break form by choosing not leave Dex high and dry. But they did. And somehow despite suspecting that it was coming down the pike, season 5’s ending was heartbreaking for me. I’m still chewing on it. Here’s what I’ve come up with. Yes, it was the “right” ending for the series’ creative options (and because of that, the one that we could suspect would be coming) but I think it was also the right ending because it still feels wrong, even days later. Something is afoot as I find myself hung up by emotions of a character who for so long claimed and feared his own lack of emotions. Getting something to feel wrong because of how it makes Dexter feel… that’s a new trick that could only have been performed credibly a half-decade into the show’s life. So am I the one getting creepier the longer I watch and the more my sympathy with a serial killer grows, or is my growing sympathy a function of the growing depth of his relationships? Dexter continues to become a more integrated human being over the course of this series and was arguably more known by someone else than ever throughout season 5. 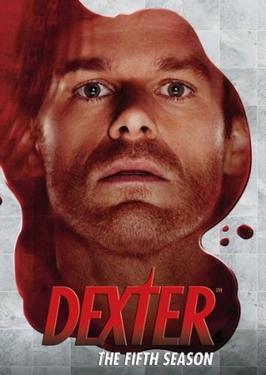 The growing consistency of Dexter’s need to satisfy not only the Dark Passenger but his need to connect tempts him and increasingly us viewers to believe he is not after all a monster. Dexter’s sociopathic struggle to feel is seeming more distant and now I also feel him get hurt and hurt for him. So, I haven’t rolled right into catching up on season 6. I’m not ready for either Dexter or myself to recover from the loss just yet. Previous Previous post: Will a Drained True Blood Find New Life?